All information, documents, products, software and services provided on this Site, including trademarks, logos, graphics and images (collectively the "Materials") are provided to you by Top Moving Company 4 You. Top Moving Company 4 You grants you the limited right to display the Materials only on your personal computer, and to copy and download the Materials displayed on this Site, provided that: (1) both the Top Moving Company 4 You copyright notice and the permission notice set forth in this paragraph appear in the Materials so displayed, copied or downloaded and (2) such display, copy or download is solely for your personal or internal informational use (that is, not distributed or otherwise transmitted outside of your home or company, or otherwise broadcast in any media). You acknowledge and agree that you have no right to modify, edit, alter, distribute, publicly perform, display or enhance any of the Materials in any manner. This limited license terminates automatically, without notice to you, if you breach any of these Terms. Upon termination of this limited license, you agree to immediately destroy any downloaded and printed Materials. Except as stated herein, you acknowledge that you have no right, title or interest in or to the Materials, on any legal basis, without the advance written authorization of Top Moving Company 4 You. If you violate these Terms, Top Moving Company 4 You reserves the right to terminate your ability to use the Site without notice. In addition, you agree to terminate your use of the Site upon request. 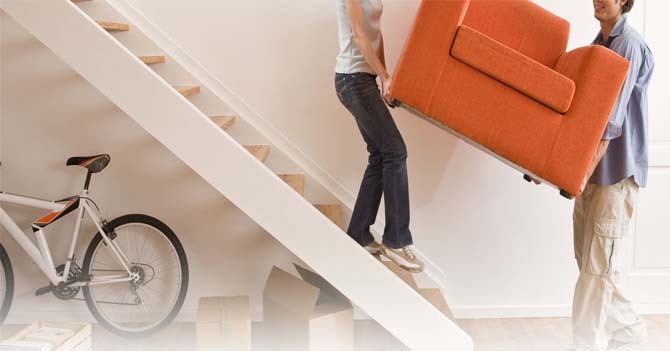 Top Moving Company 4 You preferred course of action is to advise you of your inappropriate behavior and recommend any necessary corrective action. M SECURE NET, Inc. sole role is to provide users of the Site with access to numerous resources, including making a link available to consumers and their choice of moving companies, various communications tools, shopping services, personalized search services for movers and access to an array of service providers which may be accessed through its Site (hereafter the "Service???). You understand and agree that the Service may include certain communications from M SECURE NET, Inc., such as results, service announcements, administrative messages and the follow-up information requests and communication, and that these communications are considered part of M SECURE NET, Inc. membership and user procedures and you will not be able to opt out of receiving them. Unless explicitly stated otherwise, any new features that augments or enhances the current Service shall be subject to these Terms. You also understand and agree that the Service is provided "AS-IS" and that M SECURE NET, Inc. assumes no responsibility for the timeliness, deletion, mis-delivery or failure to store any user communications or personalization settings. You are responsible for obtaining access to the Service, and that access may involve third-party fees. You are responsible for those fees, including those fees associated with the execution of a work order, a product and/or delivery of the above. In addition, you must provide and are responsible for all equipment necessary to access the Service. Please be aware that you must be at least 18 years of age to place an order for a product and/or service on this Site. In consideration of your use of the Service, you represent that you are of legal age to form a binding contract and are not a person barred from receiving services under the laws of the United States or other applicable jurisdiction. You also agree to: (a) provide true, accurate, current and complete information about yourself as prompted by the topmovingcompany4you.com website (hereinafter: the "Registration Data") and (b) maintain and promptly update the Registration Data to keep it true, accurate, current and complete. If you provide any information that is untrue, inaccurate, not current or incomplete, or M SECURE NET, Inc. has reasonable grounds to suspect that such information is untrue, inaccurate, not current or incomplete, M SECURE NET, Inc. has the right to suspend or terminate your account and refuse any and all current or future use of the Service (or any portion thereof). In the event a ruling, regulation or order issued by a judicial, legislative or regulatory body causes M SECURE NET, Inc. to believe that these Terms and/or the Service provided hereunder may be in conflict with such rules, regulations and orders, M SECURE NET, Inc. may suspend or terminate the Service, or terminate these Terms without incurring any liability whatsoever. In the event M SECURE NET, Inc. cannot arrange for reasonably comparable Service within a reasonable period of time (not less than 90 days) following such ruling, regulation or order; M SECURE NET, Inc. may thereafter permanently terminate the Service and/or these Terms without incurring any liability whatsoever. In your use of the Site, you may enter into correspondence with, purchase goods and/or services, or participate in promotions of advertisers or members or sponsors showing their goods and/or services on or advertised through the Site. Any such correspondence, purchase or promotion, including the delivery of and the payment for goods and/or services, and any other term, condition, warranty or representation associated with such correspondence, purchase or promotion, is solely between you and the applicable third party. You agree that Top Moving Company 4 You is not a party to such correspondence, purchase or promotion, nor has no liability, obligation or responsibility for any such correspondence, purchase or promotion between you and any such third party. Through topmovingcompany4you.com you are able to procure services and products of third parties. Under no circumstances will either M SECURE NET, Inc. and/or topmovingcompany4you.com be liable in any way for any services and products provided to you by such third parties. Further, You acknowledge that neither the Materials nor the Third Party Content have been independently verified or authenticated in whole or in part by Top Moving Company 4 You, and agree that Top Moving Company 4 You does not warrant the accuracy or timeliness of the Materials or the Third Party Content, and further agree that Top Moving Company 4 You has no liability for any errors or omissions in the Materials and the Third Party Content, whether provided by Top Moving Company 4 You or its licensors. You hereby acknowledge and agree that M SECURE NET, Inc. and topmovingcompany4you.com are in no way responsible and/or liable for the quality, price, delivery and execution of such services and/or product, nor do M SECURE NET, Inc. and topmovingcompany4you.com guarantee or warrant in any way the payment for services and/or products sold by any person. Be aware that M SECURE NET, Inc. and its website topmovingcompany4you.com are not bound by the terms of, and are not a party to, any agreement you enter into with movers, users of said website or any other third party or entity you will contact through the topmovingcompany4you.com website. Further, you hereby acknowledge and agree that IN NO EVENT SHALL Top Moving Company 4 You BE LIABLE TO YOU OR ANY THIRD PARTY FOR ANY INDIRECT, EXTRAORDINARY, EXEMPLARY, PUNITIVE, SPECIAL, INCIDENTAL OR CONSEQUENTIAL DAMAGES (INCLUDING LOSS OF DATA, REVENUE, PROFITS, USE OR OTHER ECONOMIC ADVANTAGE) HOWEVER ARISING, WHETHER FOR BREACH OR IN TORT, EVEN IF Top Moving Company 4 You HAS BEEN PREVIOUSLY ADVISED OF THE POSSIBILITY OF SUCH DAMAGE. The aggregate liability of the Company to you for all claims arising from the Web Site and/or the use of the Materials or Products is limited to $50. YOU EXPRESSLY UNDERSTAND AND AGREE THAT THE SERVICE AND CONTENT FROM OR THROUGH THIS WEB SITE ARE PROVIDED "AS-IS" AND "AS AVAILABLE," AND M SECURE NET, INC. AND TOPMOVINGCOMPANY4YOU.COM DISCLAIMS ALL OTHER WARRANTIES, EXPRESS OR IMPLIED, INCLUDING IMPLIED WARRANTIES OF MERCHANTABILITY AND FITNESS FOR A PARTICULAR PURPOSE OR NON-INFRINGEMENT. TOPMOVINGCOMPANY4YOU.COM WILL NOT BE LIABLE FOR ANY DAMAGE OR LOSS OF ANY KIND ARISING OUT OF OR RESULTING FROM POSSESSION OR USE OF THIS WEB SITE (INCLUDING SERVICES PROVIDED BY THIRD PARTIES TO USERS OF THIS WEBSITE, PAYMENT FOR SUCH SERVICES BY USERS OF THIS WEBSITE, DATA LOSS, CORRUPTION OR ANY DAMAGES CAUSED BY VIRUSES CONTAINED WITHIN THE ELECTRONIC FILES OR AT THE SITE) OR SOFTWARE PROVIDED, REGARDLESS OF WHETHER SUCH LIABILITY IS BASED IN TORT, CONTRACT OR OTHERWISE. THE REMEDIES AVAILABLE UNDER THESE TERMS AND CONDITIONS ARE EXCLUSIVE. SOME STATES DO NOT ALLOW THE LIMITATION OR EXCLUSION OF IMPLIED WARRANTIES OR LIABILITY FOR INCIDENTAL OR CONSEQUENTIAL DAMAGES, SO THE ABOVE LIMITATIONS OR EXCLUSIONS MAY NOT APPLY TO EVERYONE. ALL WARRANTY CLAIMS SHALL BE MADE DIRECTLY TO THE MOVER, DISTRIBUTOR, OR MANUFACTURER PROVIDING GOODS OR SERVICES. NO ADVICE OR INFORMATION, WHETHER ORAL OR WRITTEN, OBTAINED BY YOU FROM M SECURE NET, INC. THROUGH THE TOPMOVINGCOMPANY4YOU.COM WEBSITE OR THROUGH OR FROM THE SERVICE, WILL CREATE ANY WARRANTY NOT EXPRESSLY STATED IN THESE TERMS. Certain functions of the Site are restricted to authorized users or require you to provide personal information (?? ?Restricted Areas???). If you are an authorized user of the Restricted Areas, you agree that you are entirely responsible for maintaining the confidentiality of your password or your employees??? passwords and account information, if any, and agree to notify Top Moving Company 4 You if the password is lost, stolen, disclosed to an unauthorized third party, or otherwise may have been compromised. You agree that you are entirely responsible for any and all activities which occur under your account, including any fees which may be incurred under your password-protected account, whether or not you are the individual who undertakes such activities. You agree to immediately notify Top Moving Company 4 You of any unauthorized use of your account or any other breach of security in relation to the Site known to you. You acknowledge that your unauthorized use of any Materials or Third Party Content contained on this Site may violate copyright laws, trademark laws, the laws of privacy and publicity, certain communications statutes and regulations and other applicable laws and regulations, and agree that you are wholly responsible for your actions or the actions of any person using your screen name and/or password. As such, you agree to hold Top Moving Company 4 You entirely harmless from and against any and all costs, damages, liabilities and expenses (including attorneys??? fees) incurred by Top Moving Company 4 You in relation to, arising from or for the purpose of avoiding any claim or demand from a third party that your use of the Site or the use of the Site by any person using your screen name and/or password (including without limitation your participation in any chat rooms) violates any applicable law or regulation, or the rights of any third party. Descriptions of, or references to, products or publications within the topmovingcompany4you.com service does not imply endorsement of that product or publication. M SECURE NET, Inc. and topmovingcompany4you.com makes no warranty of any kind with respect to the subject matter included herein, the products listed herein, or the completeness or accuracy of this Web site. This site contains links to other Internet sites. Because M SECURE NET, Inc. has no control over such sites and resources, you acknowledge and agree that neither M SECURE NET, Inc. nor topmovingcompany4you.com are responsible for the availability of such external sites or resources and does not endorse and is not responsible or liable for any content, advertising, products, or other materials on or available from such sites or resources. You further acknowledge and agree that neither M SECURE NET, Inc. nor topmovingcompany4you.com will be responsible or liable, directly or indirectly, for any damage or loss caused or alleged to be caused by or in connection with use of or reliance on any such content, goods or services available on or through any such site or resource. You acknowledge and agree that M SECURE NET, Inc. may preserve content you have submitted for publication within the topmovingcompany4you.com website and may also disclose such content if required to do so by law or in the good faith belief that such preservation or disclosure is reasonably necessary to: (a) comply with legal process; (b) enforce these Terms; (c) respond to claims that any such content violates the rights of third-parties; or (d) protect the rights, property, or personal safety of M SECURE NET, Inc., its users and the public. You understand and agree that any attempt to break security or to access an account that does not belong to you will be considered a material breach of these Terms, and such breach may result in suspension or termination of the Service and possibly referral to law enforcement authorities. Unauthorized access to the sections of this website which are restricted for the use of members only, or the telecommunications or computer facilities used to deliver the service is a breach of these Terms whether or not such activities are a violation of law. Further, you are required to take adequate security measures to prohibit others from unauthorized access or use of the service, including public use, and you must take prompt remedial measures upon notice of breaches or potential breaches of security. You agree to indemnify and hold M SECURE NET, Inc., its subsidiaries, affiliates, officers, agents, licensors or other partners and employees harmless from any claim or demand, including reasonable attorneys' and other legal and litigation fees, made by any third party due to or arising out of services and/or products you procure through the topmovingcompany4you.com website, your violation of these Terms, or your violation of any rights of another. You further agree to reimburse M SECURE NET, Inc. and/or topmovingcompany4you.com for any cost and/or expense incurred by M SECURE NET, Inc. and/or topmovingcompany4you.com in connection with any claim and/or proceedings arising out of the foregoing, immediately upon the relaying of a notice thereof by M SECURE NET, Inc. and/or topmovingcompany4you.com to you. All Top Moving Company 4 You trademarks, marks, names, service marks and logos are the property of Top Moving Company 4 You and their respective owners. All information and screens appearing on this Site including documents, products, software and services, graphics, text elements, Site design, logos, images, and icons, as well as the selection, assembly, and arrangement thereof, are the sole property of Top Moving Company 4 You Copyright ?? 2003, unless otherwise specified. All rights not expressly granted herein are reserved. Except as otherwise required by applicable law, any reproduction, distribution, modification, retransmission or publication of any copyrighted material is strictly prohibited without the express written consent of the copyright owner. (f) a statement by you, made under penalty of perjury, that the above information in your notice is accurate and that you are the copyright owner or authorized to act on the copyright owner?? ?s behalf. In the event topmovingcompany4you.com determines, in its sole discretion, that an order of Service or Offer of Service may be fraudulent, we reserve the right to refuse or cancel any such order and/or offer, for any reason, at any time, and whether or not the order or offer has been confirmed. There is a risk that other users may attempt to access your computer through the Internet or connected networks. 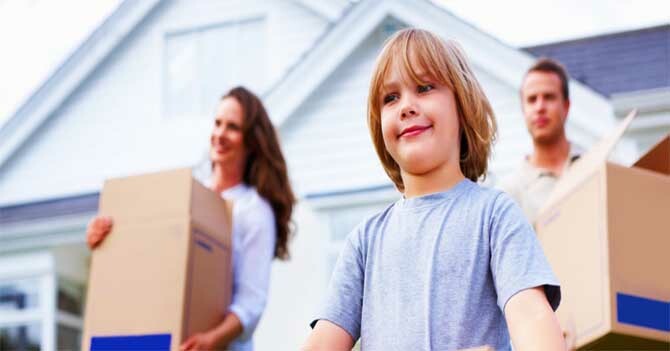 You acknowledge this risk as inherent to the shared nature of the using the topmovingcompany4you.com website and you agree to take full responsibility for taking adequate security precautions and safeguarding your data from loss. This service is designed to provide accurate and authoritative information with respect to the subject matter covered. It is provided with the understanding that topmovingcompany4you.com is not engaged in rendering legal, accounting, or expert services. If legal advice or other expert assistance is required, the services of a competent professional should be sought. While M SECURE NET, Inc. and topmovingcompany4you.com attempts to ensure the accuracy of any materials presented within this Web site, topmovingcompany4you.com makes no warranties or representations as to its accuracy, and the user is warned that this service could include typographical errors, technical inaccuracies, and/or other errors or omissions. topmovingcompany4you.com reserves the right to make improvements and/or changes in this service at any time, and we reserve the right to make changes to our site and these disclaimers, terms and conditions at any time. Any list prices are the prices provided to topmovingcompany4you.com by movers, and are periodically updated by them with or without a corresponding price change on the topmovingcompany4you.com website. M SECURE NET, Inc. and topmovingcompany4you.com are not a party to any agreement made between any user of this website and any fabricator and/or member of this website and thus are not responsible nor liable for any loss and/or damage which may arise from such price changes. In the event that a product is listed at an incorrect price or with other incorrect information due to a typographical or other error, topmovingcompany4you.com has the right to refuse or cancel any orders placed for the product listed incorrectly. These Terms, any other policies or guidelines referenced herein and the User Agreement contained in topmovingcompany4you.com constitute the entire agreement between M SECURE NET, Inc. and topmovingcompany4you.com and you. These Terms govern your use of the Service, superseding any prior agreements between you and M SECURE NET, Inc. and topmovingcompany4you.com with respect to the subject matter of these Terms. You also may be subject to additional terms and conditions that may apply when you use or purchase certain affiliate services, third-party products or third-party services. This site is created and controlled by M SECURE NET, Inc., in the State of California, USA, and it can be accessed from all 50 states and the District of Columbia, as well as from other countries around the world. These Terms and the relationship between you and M SECURE NET, Inc. and topmovingcompany4you.com will be governed by the laws of the State of California without regard to its conflict of law provisions. You and M SECURE NET, Inc. and topmovingcompany4you.com agree to submit to the personal and exclusive jurisdiction of the courts located within the county of Los Angeles, California. The failure of M SECURE NET, Inc. and topmovingcompany4you.com to exercise or enforce any right or provision of these Terms will not constitute a waiver of such right or provision. If any provision of these Terms is found by a court of competent jurisdiction to be invalid, the parties nevertheless agree that the court should endeavor to give effect to the parties' intentions as reflected in the provision, and the other provisions of these Terms remain in full force and effect. You agree that, except as otherwise expressly provided in these Terms, there shall be no third party beneficiaries to this agreement. You agree that regardless of any statute or law to the contrary, any claim or cause of action arising out of or related to use of the Service or these Terms must be filed within one (1) year after such claim or cause of action arose or be forever barred. 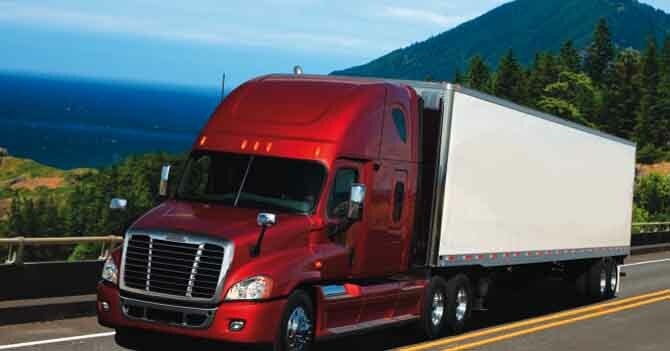 Top Moving Company 4 You controls and operates this Site from its headquarters in the United States of America and makes no representation that the Materials are appropriate or will be available for use in other locations. If you use this Site from outside the United States of America, you are entirely responsible for compliance with applicable local laws, including but not limited to the export and import regulations of other countries in relation to the Materials and the Third Party Content. Unless otherwise explicitly stated, all marketing or promotional materials found on this Site are solely directed to individuals, companies or other entities located in the United States. If any provision of these Terms is held by a court of competent jurisdiction to be contrary to law, then such provision(s) shall be construed, as nearly as possible, to reflect the intentions of the parties, with all other provisions remaining in full force and effect. The failure of Top Moving Company 4 You to enforce any right or provision in these Terms shall not constitute a waiver of such right or provision unless acknowledged and agreed to by Top Moving Company 4 You in writing. The Terms comprises the entire agreement between you and Top Moving Company 4 You and supersede all prior or contemporaneous negotiations, discussions or agreements, if any, between the parties regarding the subject matter contained herein. The section titles and paragraph headings in these TERMS are for convenience only and have no legal or contractual effect.